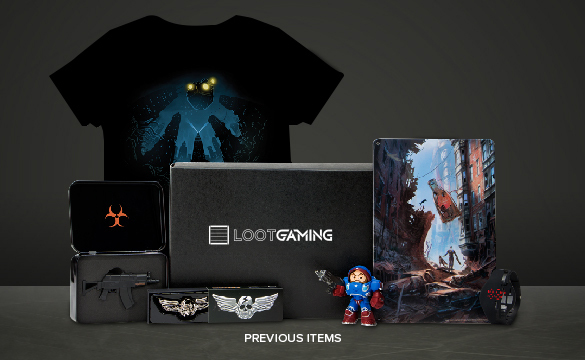 Loot Crate Buy One, Get Two Giveaway: Winner Announced! FreeMMOStation.com is teaming up with Loot Crate to give our readers the opportunity to win a free second Loot Crate when they order any Loot Crate. This promotion ends November 30, 2016. Follow FreeMMOStation on Facebook to know about the latest giveaways! To participate in this giveaway and try your luck at winning the free Loot Crate, you have to order one Crate and send us proof of the order (a screenshot) in the comments. When the order is processed you'll enter the giveaway – we'll pick the winner randomly. The winner will be able to choose any crate from this list: LootCrate, Loot Pets, Loot Anime, Loot Gaming, Firefly, Marvel, Halo, or WWE. 1. Go to Loot Crate and order any crate that you want. 3. If you're the winner, we'll get in touch!